Welcome to the place in Star Valley that has such great fish - all the residents call us "The Fish Place"! A nice, homey place to rest and get refreshed. "We bring the ocean to your table!" You can order Takeout, or we have a Deli with choices you can take home and cook yourself! 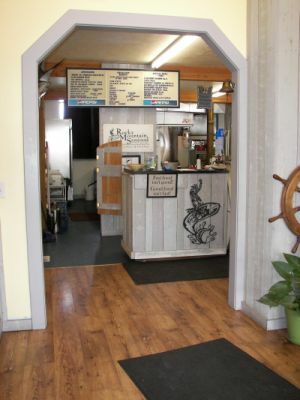 Rocky Mountain Seafood offers fresh seafood dishes to delight any appetite. From our farm-raised salmon, to our Alaskan halibut , we have it all. We even have take-out, and fresh fish you can prepare at home. "We bring the ocean to your table!"